Nature studies are fun on their own, but did you know you can combine them with arts and crafts? Here's a list of 25 nature studies that do just that! Nature and art go hand-in-hand. Using arts and crafts to compliment your nature studies not only helps the children to retain information, but also creates a delightful memories. Believe it or not, there are quite a few ideas for combining the two, besides sketching. I've scoured the internet looking for resources, and this is the list I've come up with for winter nature study activities. 5 Wintertime Nature Study Ideas. Looking for more homeschooling ideas? Subscribe here! Winter is the hardest season for going out and enjoying nature, but we need the fresh air more than any other time of year. Thanks for the list of fun activities! When I hear Nature Study I don't usually think of winter. 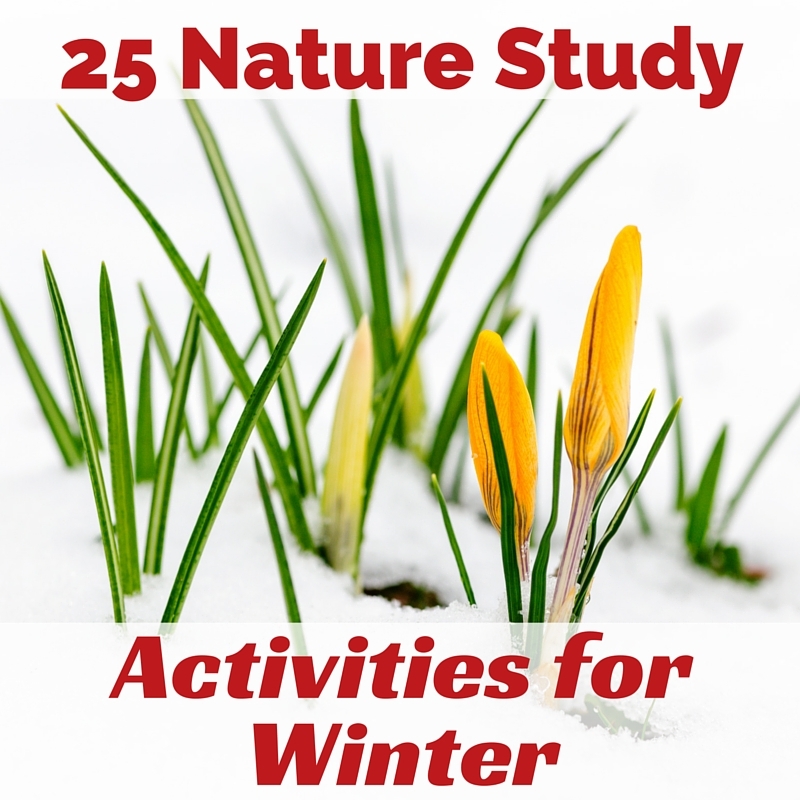 Thank you for such an awesome list of ways to bring Nature Studies to the winter months!